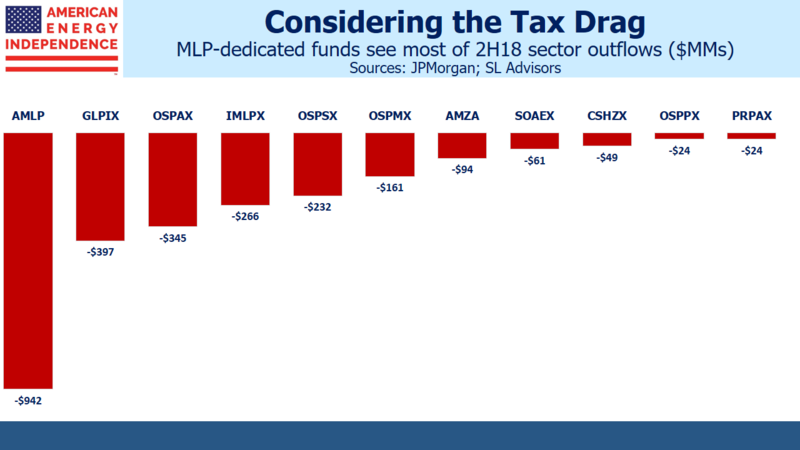 JPMorgan calculates that there is $38 billion invested in open-ended MLP and energy infrastructure products, across ETFs, mutual funds and exchange traded notes. 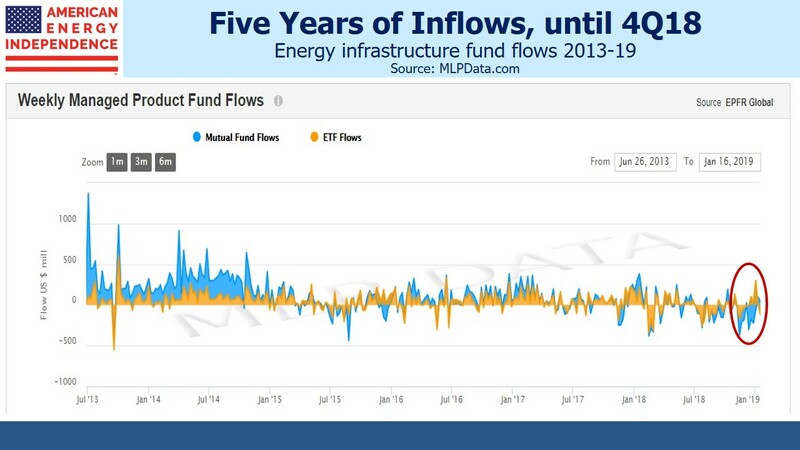 In spite of peaking in August 2014, the sector saw inflows during the three subsequent years. This reversed dramatically late last year, as retail investors liquidated holdings. 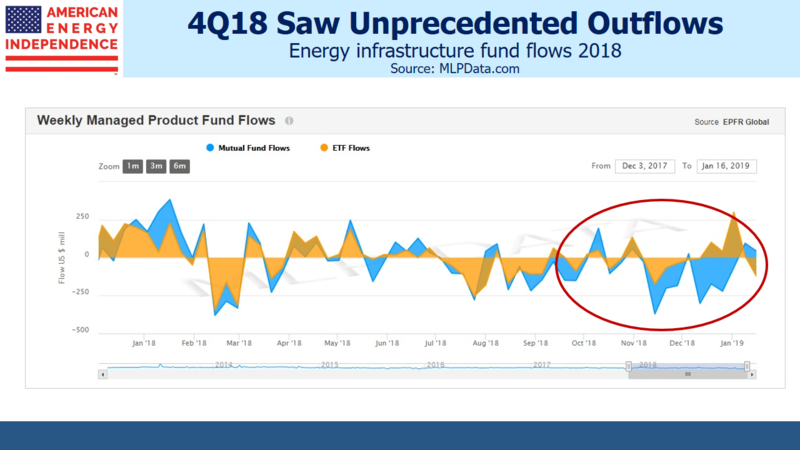 November and December saw $1.9 billion in net outflows, enough to depress prices regardless of news. Hinds Howard of CBRE Clarion Securities recently noted that, “MLPs are less than half of the market cap of North American Midstream, and the number of MLPs continues to shrink.This is ultimately a good thing for those public players that remain, who will achieve greater scale and competitive bargaining power.” Many big pipeline operators are corporations, so an MLP-only focus makes less sense because it omits many of the biggest operators.